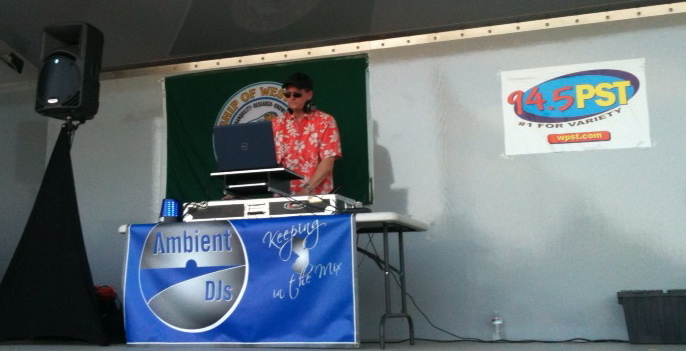 Ambient DJ was pleased to be participate in this year's National Night Out in West Windsor. The township event is among several being held in the region during Tuesday’s National Night Out to encourage people to get to know their police departments and to work toward making their communities safe places to live. For some history on the West Windsor event and how it was revived by two officers, Michael Pitts and Justin Insalaco, see the following article. Some specific highlights of the West Windsor event included: an auto extrication demonstration, bicycle safety information for the youth, a dunk tank, a range of bounce house attractions for the kids, a silent auction benefitting The Special Olympics, a dusty visit by the State Police Helicopter, exhibition of two stretch limousines by A1 Limousine, and a speech by West Windsor Mayor Shing-Fu Hsueh. State Police Helicopter Stirs Things Up! I began my set at 7 PM on the main stage, carrying the torch for Shinn and the 94.5 PST team who needed to get back to the office for their on-air show. 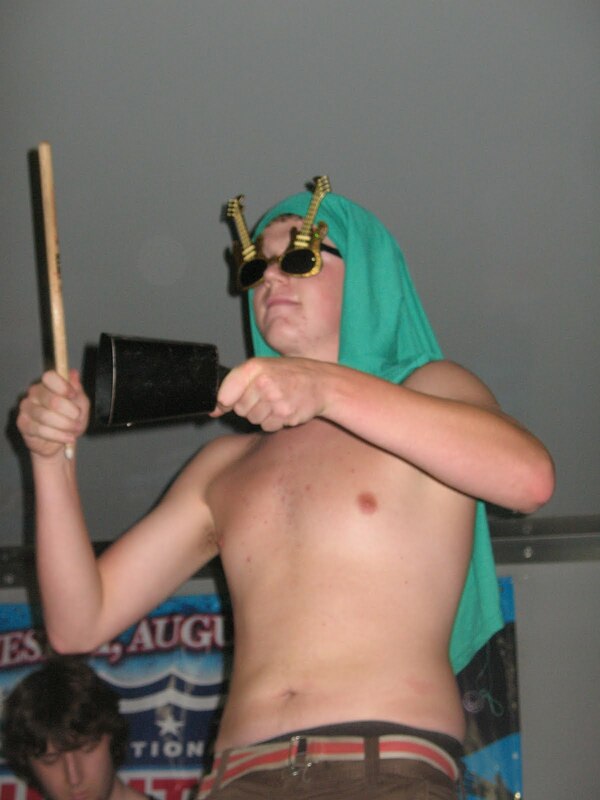 I primarily played music in between acts and performed Emcee duties. The first act was a high-energy martial arts presentation by two star students from the Princeton Academy of Martial Arts located on Farber Road in West Windsor. Next, pupils of various ages from the Dance Corner (located in the McCaffery's Shopping Center in West Windsor) delighted guests with a range of dance styles, including jazz and ballet. The Syncopations pose with their favorite DJ! The final performance of the night was by a group of talented high school students going by the name of "LCO" (short for a more elaborate band name that I was unable to catch the name). This band was wise beyond its years, dropping hot performances of classics by the likes of Van Halen, Journey, Flight of the Concords and MGMT. The keyboardist was particularly impressive with an intense solo during the song "Karate." "LCO" is a band on the rise! The event was a success by all accounts and Ambient DJ looks forward to collaborating with the West Windsor community in the future! A1 Limousine Service provides Limo Service is an exciting new generation professional Airport and Limousine Service. We provide a variety of transportation services from frequent corporate flyers to leisure outings. i have onesite regarding this.once check it..